A request for help – and information! The majority of my time over the last 6 years or so, has been spent completing a number of large scale projects which have resulted in sizeable amounts of information being added to the site. To date, the largest has been the creation of a database to enable me to list an Op history for every crew that flew with the Squadron during the War. I was also able to relatively recently announce the completion of the transcription of the entire collection of Form 540 documents for the Squadron. In addition to this, the Roll of Honour has been dramatically expanded, all available air combat reports have been catalogued and added and a large number of MI.9 debriefing interviews are currently being processed and added to the Evaders, Escapers and P.o.W sections of the site. The final, and largest piece of the jigsaw is a record of all individuals that flew with the Squadron, or as it is often referred to, a Nominal Roll. Those of you that have followed the blog form the beginning, might recall a very brief period when a Nominal Roll was available, which had been passed onto me form the 75 Association in New Zealand. This had to be removed not long after publishing, owing to what I will simply describe as a misunderstanding, more within the Association, regarding the apparent sense of making the list public to correct and expand it. Aware of the sensitivities surrounding this Nominal Roll document and owing to the apparent reluctance on the part of the NZ Association to make public any information that they hold, I have come to the simple conclusion that the only way to proceed is to create from scratch, our own Nominal Roll. I have spent the last few months reviewing the information held on the blog, the National Archives and London Gazette and am satisfied that, in principle this is entirely possible. The scope of the document will be from the point the ‘New Zealand Flight’ was formed in the United Kingdom in June 1939 through to the point the Squadron was disbanded at Spilsby in October 1945. Based on available information, I have reluctantly decided at least initially, to focus the Nominal Roll on Aircrew only. I am not comfortable with this decision, but the simple fact of the matter is that I seem so far to have found no sources of information that lists any useful records, regarding Ground crew and as such barely have a starting point for a basic list, let alone, sadly a Nominal Roll document. A gross list of Aircrew names can be extracted from the Form 541 ‘diary of work carried out’ that already exists in database format and this will form the first ‘impression’ of the Roll. Additional information contained in the Form 540 regarding postings in and out of the Squadron and promotions will add to this. Six years of contact with relatives, plus a summer going through the AIR 78 personnel list documents, has generated a significant amount of new information regarding RAF aircrew christian/ middle names and service numbers. What follows is a theoretical Nominal Roll entry based on my own Father. I have used Bob as an example because all I have on him comes from publicly accessible documents, information held in my database and his service records obtained from the RAF. 2 tours with Squadron, 1943 & 1945. Crewed with Allan Johnson Mayfield (1st tour) and Vernon John ‘Taffy’ Zinzan (2nd tour). Previous occupation, Clerk, Ayr County Council, Public Assistance Department. Enlisted, 9th of October 1941 at Aircrew Selection Board (ACSB), Edinburgh – Recommended for training as Pilot/ Observer. 23/3/42 Reserves to No.1 Aircrew Reception Centre (ACRC), St. Johns Wood. Posted to Mepal on the 21st of July 1943 from 1651 Heavy Conversion Unit, Waterbeach. 1562617. SGT.A/B. SOMMERVILLE, R. Posted from No.1651 Con. Unit, w.e.f. 21/7/43. (Authy.P/N.3G/855/49 dated 19/7/43). 30/07/1943 – Mining off the Frisian Islands, 02/08/1943 – Attack Against Targets at Hamburg, 06/08/1943 – Mining in the Gironde Estuary, 10/08/1943 – Attack Against Targets at Nurenburg, 12/08/1943 – Attack Against Targets at Turin, 16/08/1943 – Attack Against Targets at Turin, 17/08/1943 – Attack Against Targets at Peenemunde, 27/08/1943 – Attack Against Targets at Nuremburg, 30/08/1943 – Attack Against Targets at Munchen-Gladbach, 31/08/1943 – Attack Against Targets at Berlin, 05/09/1943 – Attack Against Targets at Mannheim, 08/09/1943 – Attack Against Targets at Boulogne, 15/09/1943 – Attack Against Targets at Montlucon, 16/09/1943 – Attack Against Targets at Modene, 22/09/1943 – Attack Against Targets at Hanover, 23/09/1943 – Attack Against Targets at Mannheim, 03/10/1943 – Attack Against Targets at Kassel, 04/10/1943 – Attack Against Targets at Frankfurt, 08/10/1943 – Attack Against Targets at Bremen, 18/11/1943 – Attack Against Targets at Mannheim, 19/11/1943 – Attack Against Targets at Leverkusen. Posted from Mepal to No.3 Lancaster Finishing School, Feltwell on the 15th of December 1943. P/O Sommerville, R. D. 161049 (GD) Posted to No.3 L.F.S. w.e.f. 15/12/43. Auth: P/N 3G/3398/43 dated 10/12/43. Posted to Mepal on the 25th of January 1945 from No.3 Lancaster Finishing School, Feltwell. Administration. 161049 P/O R. Sommerville A/B arrived on posting from No. 3 L.F.S. 01/02/1945 – Attack Against Munchen Gladbach, 02/02/1945 – Attack Against Wiesbaden, 09/02/1945 – Attack Against Hohenbudburg, 13/02/1945 – Attack Against Dresden, 14/02/1945 – Attack Against Chemnitz, 16/02/1945 – Attack Against Wesel, 19/02/1945 – Attack Against Wesel, 20/02/1945 – Attack Against Dortmund, 02/03/1945 – Attack Against Cologne, 04/03/1945 – Attack Against Wanne Eickel, 06/03/1945 – Attack Against Salzbergen, 07/03/1945 – Attack Against Dessau, 09/03/1945 – Attack Against Datteln, 10/03/1945 – Attack Against Gelsenkirchen Buer, 12/03/1945 – Attack Against Dortmund, 14/03/1945 – Attack Against Heinrich Hutte, 20/03/1945 – Attack Against Hamm, 23/03/1945 – Attack Against Wesel, 29/03/1945 – Attack Against Salzgitter, 04/04/1945 – Attack on Meresburg, 13/04/1945 – Attack on Kiel, 14/04/1945 – Attack on Potsdam. 5/5/45 – Posted from Mepal to Aircrew Allocation Centre. 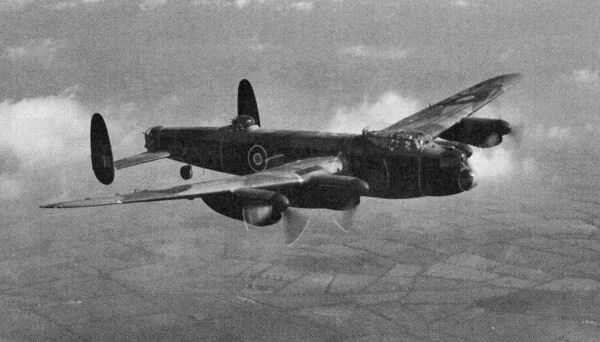 16/6/45 – RAF Halfpenny Green, Birmingham. 27/9/45 – No.7 Air Navigation School, Bishops Court, Northern Ireland. 23/4/46 – No.7 Air Navigation School, Bishops Court, Northern Ireland – Flying Control Officer. 10/8/46 – No. 100 Personnel Dispersal Centre, Uxbridge. “This officer, as Air Bomber, has completed many successful operations against the enemy, in the course of which he has invariably displayed high skill, fortitude and devotion to duty”. Passed away through illness 29th of August 2011. Ashes scattered in 75(NZ) Squadron Memorial Garden, Mepal Cambridgeshire. Now, you can see from this that it gives a good record of the individual, and also that the information comes really from the database and the individuals RAF Service Records. I must therefore put out a request for you all to apply for your relatives Service Records. My understanding is that still, as next of kin the service is free (though I stand to be corrected). Whilst this is a MASSIVE task, there exists an opportunity to complete the final section of the site and then make it the utterly definitive resource for the Squadron. 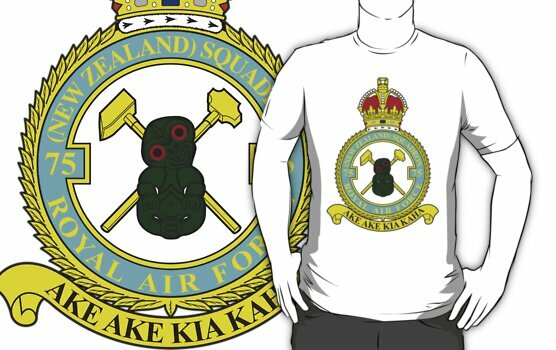 This entry was posted in general and tagged 75(NZ) Squadron RAF, Aviation, Bomber Command, Feltwell, Mepal, Newmarket, Nominal Roll, World War 2 on September 13, 2018 by 75nzsquadron. Many thanks indeed to Ian for having the presence of mind to research the above item, having come across it during a house clearance. One shivers at the thought of the countless items that have been literally thrown away since the War. This small, folded thank you card, one surmises a reply to an expression of condolence, commemorates the death of S/L Garth Reginald Gunn, who died of injuries on the 21st of September 1944, 3 days after his aircraft crash landed at RAF Hawkinge, having received damage during an Op to Boulogne on the 17th of that month. The thank you card was sent by Mrs Alice Melva Gunn, Garth’s Wife. S/L Gunn and crew, received a direct hit, from 30mm shell fire, which severely damaged the aircraft necessitating both starboard engines to be shut down. The Captain and Flight Engineer had difficulty in maintaining control of the aircraft returning across the Channel. A decision was made to carry out an emergency landing at RAF Hawkinge, an airfield with a short runway. The Lancaster overshot the runway and crashed. The Captain, Navigator and Air Bomber were injured, two seriously. The Flight Engineer was killed in the crash. The other three crew escaped uninjured.The Pilot, S/L L G Gunn (‘B’ Flight Commander) died three days later from his injuries. It was the crew’s 20th sortie with the Squadron and the 4th for Garth, as Squadron Leader of ‘B’ Flight. The thank you card was found by Ian in a property in Herne Hill, South East London. The owner of the property was a George Lackford, who Ian informs me, was a Naval Wireless Operator during the War. Flight Lieutenant G. R. Gunn, who has died of injuries received over enemy country, joined the Air Force in March, 1941, and gained his commission in August of that year, sailing immediately afterwards for overseas service. , He served through the African campaign, and after 12 months’ service in the Middle East was sent to England, from where he was flying when he received his injuries. He was 26 years of age, the elder son of Mr. and Mrs. R. W. Gunn, of Lower Hutt, and was born in Masterton. An enthusiastic sportsman, he was a senior member of the Hutt Football and Athletic Clubs. He was educated at Miramar South and Eastern Hutt Schools and Wellington Technical College, and was senior sports champion of his college in 1934, 1935, and 1936, and head prefect in 1936. In 1934-35 he was junior champion of the Lower Hutt Athletic Club. 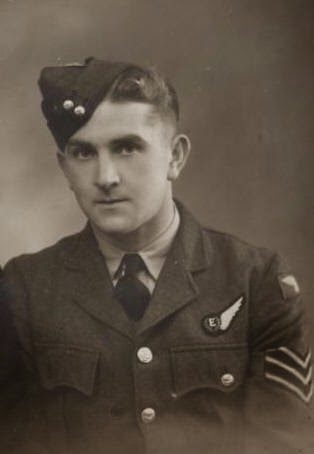 Flight Lieutenant Gunn was attached to Bomber Command,. and was acting Squadron Leader, flying a Lancaster bomber, when he received the injuries from which he later died. He leaves a wife, Mrs. A. M. Gunn, of Dolly Varden Bay, Plimmerton. His brother Sergeant C. H. Gunn, is at present in New Zealand on furlough, and his sister is Mrs. T. E. Mason, of Milford, Auckland. He was well known in the building trade, and prior to enlisting in the Air Force was on the staff of the Fletcher Construction Company, Wellington. Whilst I have received this item from Ian and will hold it accordingly, I am also happy to pass it on to any relatives of Garth, if they see this and wish to have it. This entry was posted in general and tagged 17th September 1944 Boulogne, 1944, 75(NZ) Squadron RAF, Aviation, Bomber Command, Brookland Cemetery, Garth Reginald Gunn, John Henry Bruce, Mepal, RAF Hawkinge, World War 2 on September 2, 2018 by 75nzsquadron.